Where your stress melts away. 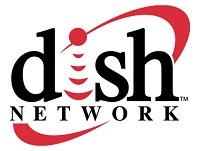 Microwaves, refrigerator/freezers, charcoal grills, stoves, coffeemakers, dishes, cooking utensils, dishwashers, wireless internet, satellite televistion. Fire Pits with Free Wood, Fish Cleaning House, Kids Sand Beach. High chair, crib with advance notice. On-site boat launch, secure boat dock spaces, Power stations on docks for charging, covered boathouse slips available for fee by request. Local fishing guides available. Gas and oil 1 mile by water or vehicle. Bait and tackle 1 mile. 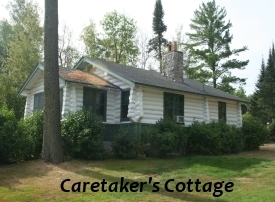 Pike Bay Lodge is a Lake Vermilion resort open year round on beautiful Lake Vermilion. 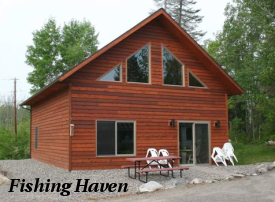 Located on the southeast corner of the lake in Pike Bay this is the first resort on the lake when traveling north. Pike Bay is the river inlet to the lake and is the spawning area for many species in spring. The lake is teeming with Walleye, Northern pike, Musky, Smallmouth Bass, Perch and has good populations of Crappie, Blugill, Largemouth bass and Tulibee. The resort was originally a private estate in the 1920's and the 5 existing estate buildings have all been upgraded. 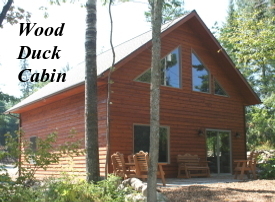 Four new cabins and the main house upper unit were constructed between 2006 and 2009 giving it 70 + bed capacity. New docks all with power and a concrete launch make lake access easy. The resort has easy access, is close to many amenities but is at the end of the road on a protected bay, secluded with ample parking. 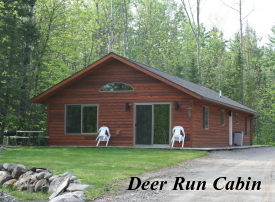 New cabins are 5 bed/Deer Run, 9 bed/Elks Lodge, Wood Duck and Fishing Haven. 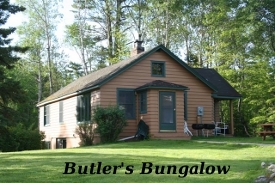 Historic cabins are 9 bed Butlers bungalow, 3 bed caretakers cottage, triplex Chauffeurs Quarters/ Stutz efficiency/ limousine Efficiency with 11 beds and the newly remodeled main house with 12 beds upstairs and one downstairs. 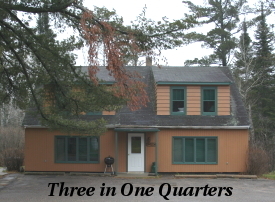 This building is ideal for family reunions, wedding parties, fishing clubs etc. Our grounds are a very scenic wedding site. Pike Bay is open year around and is on the Staked Lake Snowmobile Trail system. 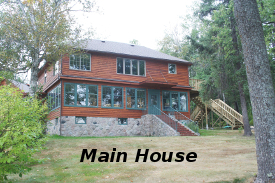 We are close to golfing, skiing, hiking, biking, fishing and snowmobiling. This is better than a hotel or motel. A perfect place for a vacation. Boat rentals available. 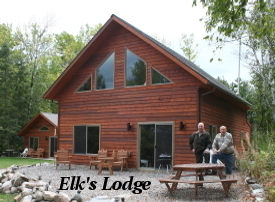 Pike Bay Lodge is an awesome Lake Vermilion Resort! 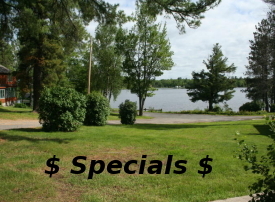 Hotel, Motel, Vacation, Bota Rentals, Snomobiling, Hunting, Hiking, Biking, Tower, Golfing, Skiing, Discounts.